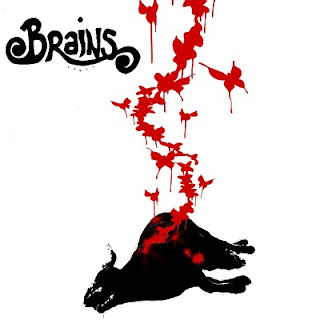 Brains is a band from Cork, Ireland who describes their sound as "Blackened Rock & Roll" and fusing Varg Vikernes with Tom Petty. I don't really hear the blackened part but there's definitely a lot of Rock & Roll in their sound, there may be a little bit of classic doom in the mix but the black metal is probably more approach and "spirit" than actual sound elements. This is a demo but doesn't sound like one (it DEFINITELY doesn't sound like normal Black Metal demo production) it's got a nice clean and warm sound to it. Brains has put their demo up for free download on Bandcamp and didn't even put the option to donate so if you like classic rock you should definitely cop this album.